To listen to the interview: go here and click on the player in the upper right corner of the screen. 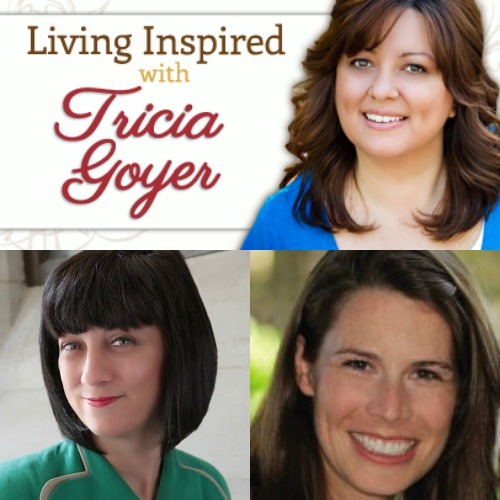 This week on Living Inspired, please welcome Jamie Janosz, author of When Others Shuddered and Tracy Leininger Craven, author of Alone Yet Not Alone. If you’re reading this after 6/19/14 you’ll be able to find this show . . . and all my shows in the archive section. For your chance to win a a copy of When Others Shuddered or Alone Yet Not Alone, sign up below. Winners will be announced here on Wednesday. Jamie Janosz is a wife, mother, writer, and follower of Jesus Christ. She enjoys “everything old” – and can often be found poking around dusty antique shops in search of treasure. She is a contributing author to Moody Bible Institute’s daily devotional, Today in the Word. Jamie and her husband have been married for 21 years and live in the Chicago suburbs with their teenage daughter. This is the story of eight women called to serve God and who, in doing so, changed the world. They lived at the turn-of-the-century, rubbing shoulders with the well-known men of their time like John Rockefeller, Marshall Field, and Dwight Lyman Moody. Each of these women was unique. They were single and married, black and white, wealthy and poor, beautiful and plain, mothers and childless. Yet, each felt called to make a difference and to do something – to meet a pressing need in her world. These eight women will show you how God can use your life to change the world. A miraculous survival. An extraordinary faith. Autumn 1755. Settled in the Blue Mountains of Pennsylvania, deep within America’s new frontier, the Leininger family celebrates the blessings of a beautiful homestead and bountiful harvest. Until tragedy strikes with the beginning of the French-Indian War, and the devastating raid known as the Penn’s Creek Massacre. The lives of this simple, God-fearing family are forever altered when Barbara and Regina, two young sisters, are carried away by a band of Allegheny warriors. Driven by their faith in God and the powerful bonds of family, Barbara and Regina hold firmly to the belief that they are never alone, even in their darkest hour, and that they will be reunited again. Purchase your copy of the book here.